This is my first Paul Hardisty book and what an impact it has left. 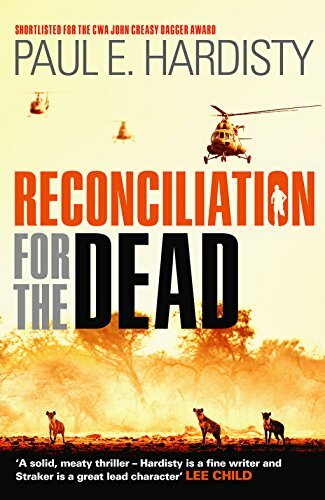 Brutal and graphic the story is told by Claymore Straker to the South African Reconciliation Commission in 1996 of the events that lead up to his eventual dishonourable discharge 15 years earlier from the army. Clay was a proud white South African paratrooper that would have gladly laid down his life for the country he loved in an army he served in without question. but things were going to change and there would be no going back. One night in Angola Clay and his army buddy Eben witness a vile and vicious scene and the hardest thing to swallow was these were supposed to be the good guys. This was like the hell hole of Africa all under one roof. A wall to wall of evil lined with atrocities with the main event being centre stage. This is really an heart stopping moment. Such a tense scene and decisions would be made that start with a ripple that soon turn into tsunami proportions for his future. This book looks deeply at some of the terrible war crimes that took place during the war years in 1980’s South Africa and it makes you think that there must be another species on this planet of our because surely these ‘people’ can not be human. I don’t know if greed, self gratification or can’t beat them join them bands these animals together but thank goodness for heroes and they do exist. This novel for me describes man at his worst and best in man kind and Paul Hardisty’s Clay became my hero. What a super character. I just loved the idea that Clay was still a young man of only 21, someone that is still so impressionable. He gave me so many punch in the air moments for being that spark of hope. This isn’t an easy book to read by any means but I do hope that you take that step. This is a compelling story that will shock you on every page. A master piece of writing that breaks your heart in so many ways. There is for me a very touching moment, the first kill. Paul Hardisty really put this into perspective such a touching moment and very sad. This book is about serving your country, friendship, doing the right thing and believing in yourself. Sadly we say every time this mustn’t ever happen again but………. Canadian Paul Hardisty has spent 25 years working all over the world as an engineer, hydrologist and environmental scientist. He has roughnecked on oil rigs in Texas, explored for gold in the Arctic, mapped geology in Eastern Turkey (where he was befriended by PKK rebels), and rehabilitated water wells in the wilds of Africa. He was in Ethiopia in 1991 as the Mengistu regime fell, and was bumped from one of the last flights out of Addis Ababa by bureaucrats and their families fleeing the rebels. In 1993 he survived a bomb blast in a cafe in Sana’a, and was one of the last Westerners out of Yemen before the outbreak of the 1994 civil war. Paul is a university professor and Director of Australia’s national land, water, ecosystems and climate adaptation research programmes. He is a sailor, a private pilot, keen outdoorsman, conservation volunteer, and lives in Western Australia. His debut thriller The Abrupt Physics of Dying was shortlisted for the CWA John Creasey (New Blood) Dagger. It was definitely not an easy read but the author has a way to put the worst into words that make a readable, though painful, story. Great review!